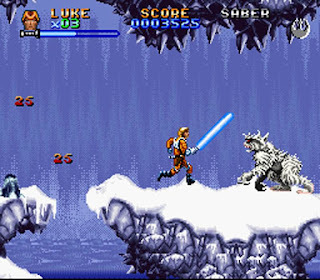 With "Rogue One: A Star Wars Story" now in theaters, it's reminded us of some of the awesome Star Wars videogames we've played over the years. There have been some incredible games spanning the decades, delivering our dreams to be a part of the epic battles on the screen. So far, there is no "Rogue One" video game in stores (unless you count the DLC for Battlefront), but we have plenty of other games we've enjoyed. Here's our rundown of the fifteen greatest Star Wars games ever. Star Wars: Episode I – The Phantom Menace is considered one of the weakest of all the Star Wars movies, but it did produce one of the most iconic sequences, the podrace. Star Wars Episode I: Racer was a racing video game based on the pod race, and it was pretty awesome. 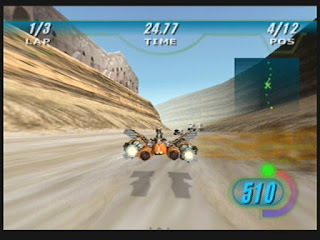 As of 2011, the game holds the Guinness record as the best-selling sci-fi racing game, having worldwide sales of 3.12 million and beating other series like Wipeout and F-Zero. An arcade version of the game featuring many similar tracks and characters was released in 2000. I think many Star Wars fans would admit that, when it comes to the Force, the Dark Side is where it's at. You got force lightning, force choking, and just being a terror. That why Force Unleashed was so popular. Star Wars: The Force Unleashed is an action-adventure video game and part of The Force Unleashed project, released in North America on September 16, 2008. The project bridges the first two Star Wars trilogies, acting as an origin story for both the united Rebel Alliance and the Galactic Civil War depicted in the Original Trilogy. The game introduces a new protagonist, "Starkiller", as Darth Vader's secret apprentice, who is tasked with hunting down Jedi while killing rebels and Imperials alike in order to hide his existence from the Emperor, but soon starts to slowly redeem himself to the light side of the Force. The game was a bestseller in the United States and Australia, with over one million copies sold its debut month. As of February 2010, the game has sold over seven million copies, and it is the fastest-selling Star Wars video game. A sequel, Star Wars: The Force Unleashed II, was released in October 2010. 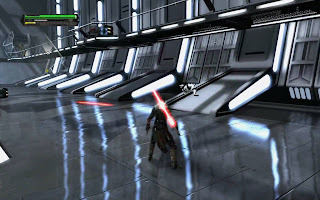 When it comes to lightsaber battles, the first to really give the player the real experience was this one. Star Wars Jedi Knight: Dark Forces II is a 1997 first-person shooter video game developed and published by LucasArts for Microsoft Windows. The game is set in the Star Wars fictional universe and is a sequel to the 1995 game Star Wars: Dark Forces. The storyline follows Kyle Katarn, who first appeared in Dark Forces. Katarn's father had been murdered by a Dark Jedi over the location of "The Valley of the Jedi" and the game follows Katarn's attempts to find the Valley and confront his father's killers. 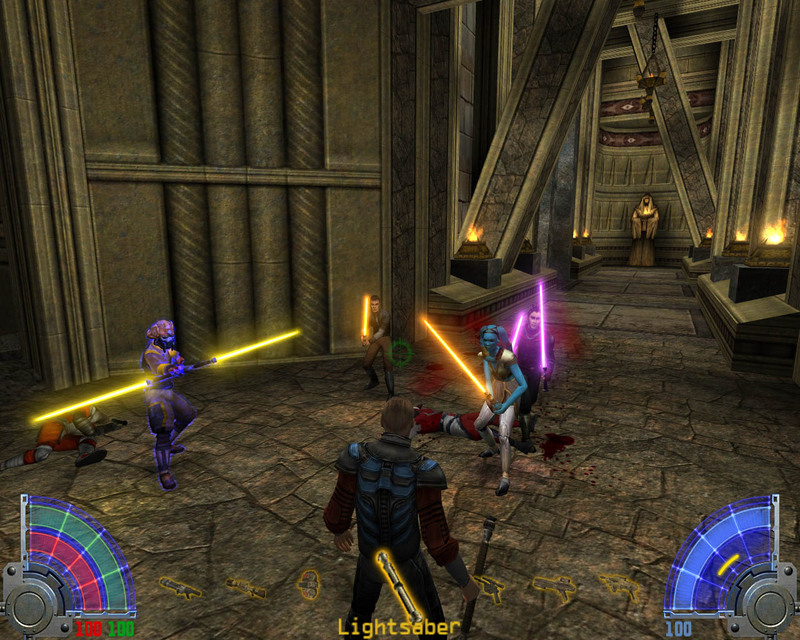 Jedi Knight adds some technical and gameplay improvements over its predecessor. It uses a more powerful game engine that supports 3D acceleration using Direct3D 5.0. 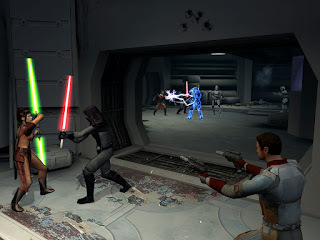 Jedi Knight also includes a multiplayer mode that allows players to compete over the internet or a local area network. The game was a huge success and as a result, the next game in the series followed in 2002, Star Wars Jedi Knight II: Jedi Outcast. The series continued with the oddly-named Star Wars Jedi Knight: Jedi Academy. It's oddly named because it's technically the fourth game in the "Jedi Knight" series, even though it's not numbered. The game was released for Microsoft Windows and OS X in September 2003 and for Xbox in November 2003, and received positive reviews. 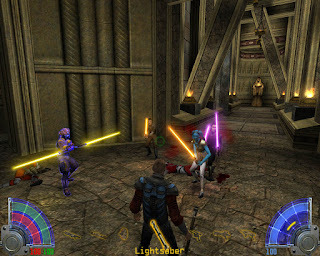 In a new feature to the series, the player can modify the character's gender and species, and can construct a lightsaber by choosing the hilt style and blade color. 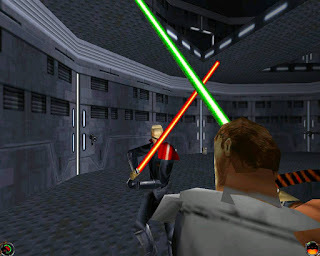 In single-player mode, the player takes control of the character Jaden Korr, a student at the Jedi Academy under the tutelage of Kyle Katarn. The player must complete various missions assigned to them by Katarn and Luke Skywalker. If you were a fan of Star Wars and you had a Super Nintendo, you had this video game. Super Star Wars: The Empire Strikes Back was a 1993 run and gun game for the Super Nintendo Entertainment System. 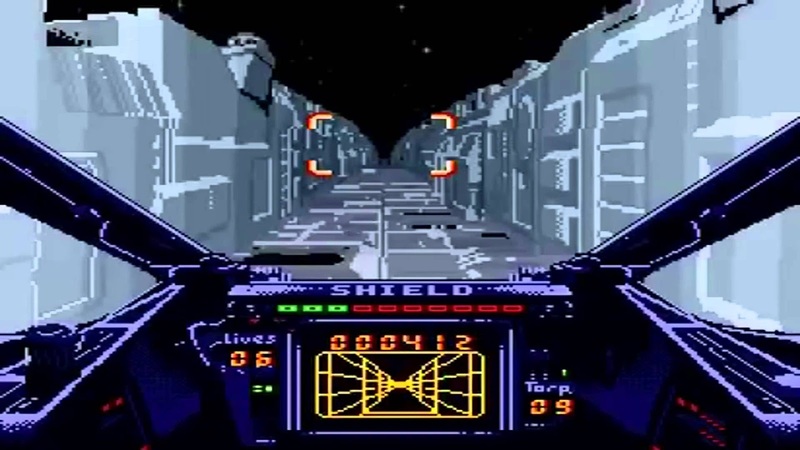 It is the second game in the Super Star Wars trilogy and is based on the 1980 film The Empire Strikes Back. The original Super NES game was released on 1993, and had multiple playable characters, quasi-3D vehicle sequences and allowed each character the use of a primary and secondary weapon. Darth Vader appeared as the final boss in the video game. In 1996, there hadn't been a new Star Wars movie in over a decade, and Lucasarts made a bold move. They published a novel, Star Wars: Shadows of the Empire, and turned it into a multimedia property with a release similar to a movie. Set between The Empire Strikes Back and Return of Jedi, the novel told how Luke and Leia tracked down Han Solo, and introduced a new character, the mercenary Dash Rendar. There was a soundtrack album, comic book, toys, and this video game. 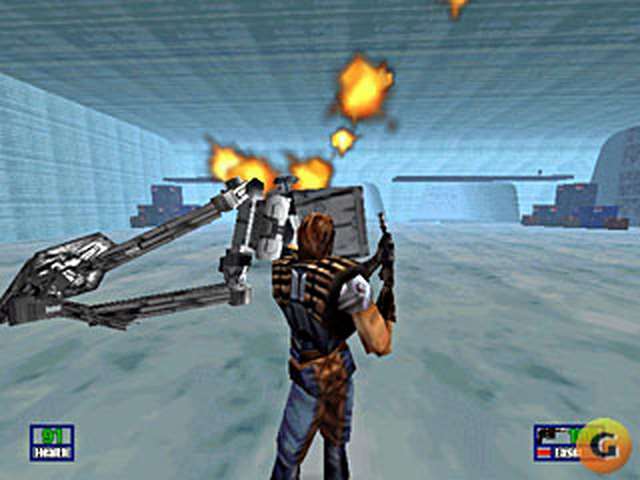 The 1996 Nintendo 64 title Star Wars: Shadows of the Empire put the player in control of mercenary Dash Rendar. It was one of the first games made available for the Nintendo 64, with more than 1 million copies sold as of 1997. Shadows of the Empire featured fan-favorite parts from the Super Star Wars line, such as another reenactment of the Battle of Hoth, piloting a snowspeeder and tying a cable around AT-ATs legs. 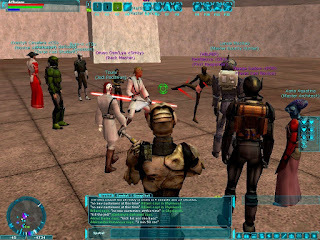 Star Wars Galaxies: An Empire Divided was a Star Wars themed massively multiplayer online role-playing game (MMORPG) for Microsoft Windows, developed by Sony Online Entertainment and published by LucasArts. Released June 26, 2003 to much critical acclaim, it spawned three expansions through 2005. The game was completely overhauled in the last expansion, which frustrated many longtime subscribers. Star Wars Galaxies continued operation for six more years. The servers shut down on December 15, 2011. 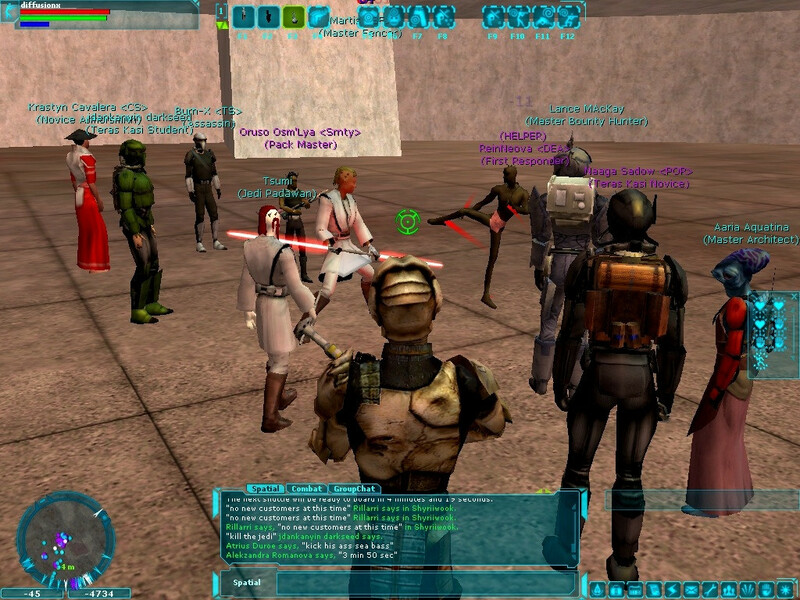 Notwithstanding the game's closure, there are several private emulator projects in various stages of development that intend to allow users to experience Star Wars Galaxies in different incarnations of the game's existence. Another fantasy of Star Wars fans is flying in some of the epic space battles, and that's where Rogue Leader delivered. Rogue Squadron II: Rogue Leader was an exclusive launch game in 2001 for the Nintendo GameCube. Rogue Leader allowed players to fly rebel spacecraft that allowed the player to form up their squadron or set a target for their squadron such as laser turrets or enemy TIE fighters. 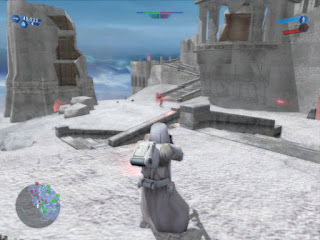 The game also included unlockable levels of Beggar's Canyon is included in the tutorial, the Death Star Trench Run, and Battle of Hoth. 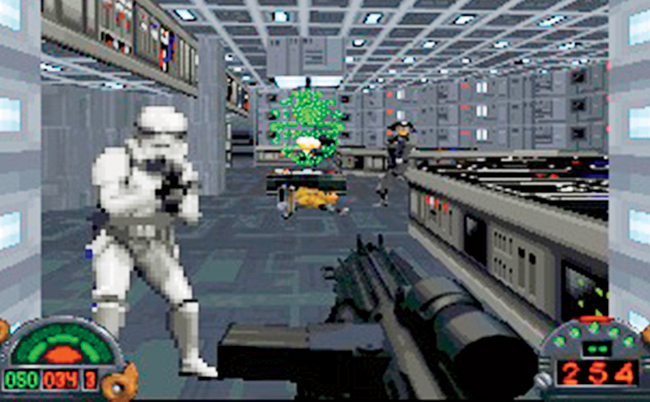 The other major battle in the original movie trilogy, The Battle of Endor, was arguably the biggest and most challenging scenario in the entire game. 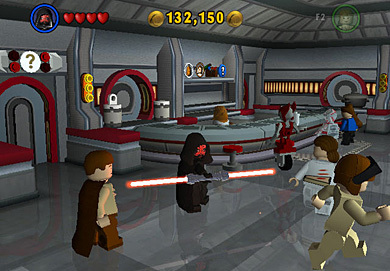 You probably wouldn't expect a kid's game to be on the list of greatest Star Wars video games, unless you actually played the Lego Star Wars series. Then you know that, even though it's for kids, it's fun for all ages. The complete saga (released in 2007) combined the first and second games in the Lego Star Wars series, which covered the Star Wars prequel trilogy and the original trilogy. The ability to control multiple characters, solve simple puzzles, use Force powers, and enjoy light-hearted parodies of the movies' key moments made this a classic. Star Wars: Battlefront was launched in 2004, bringing together elements of all prior Star Wars games into an epic battle. It's a first- and third-person shooter where players take the role of soldiers in either of two opposing armies in different time periods of the Star Wars universe. 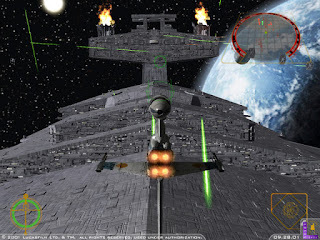 The game is primarily played as a conquest game, however other modes such as Galactic Conquest bring strategy elements to the title. Battlefront features several locales from major Star Wars battles. You could even get into different vehicles and drive or fly through the battle. 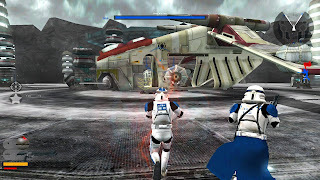 Star Wars: Battlefront II was released in 2005, improving on the original game. The game features new vehicles, characters, game mechanics, maps, and missions compared to the original Battlefront. Unlike its predecessor, Battlefront II features a more narrative-based campaign, retelling portions of the Star Wars story from the point of view of a veteran Imperial stormtrooper, reminiscing about his tour of duty in service of both the Galactic Republic and as part of the Galactic Empire. Gameplay additions over Battlefront include the use of Jedi, additional game modes such as hero assault, and objective-based space battles. 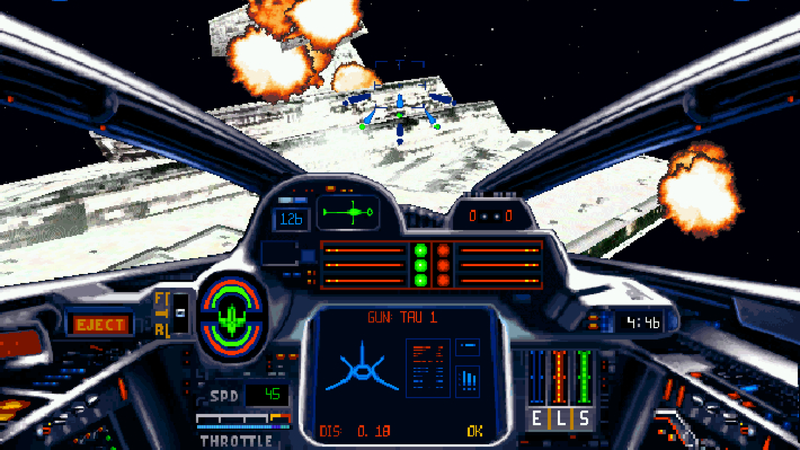 There had been other space combat games in the Star Wars series, but Star Wars: X-Wing in 1993 took it to a new level. Star Wars: X-Wing is a space simulation video game, the first of the X-Wing combat flight simulator game series. The player's character flies starfighters, including the eponymous X-wing, for the Rebel Alliance as part of a narrative that precedes and parallels the events of Star Wars Episode IV: A New Hope. 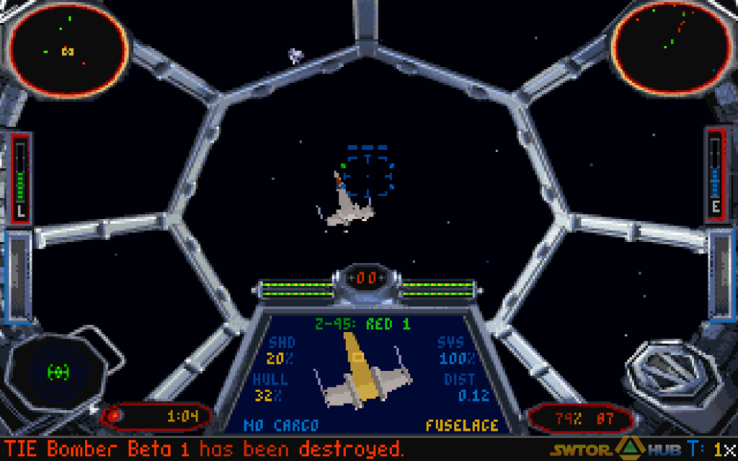 X-Wing was one of the first games to use 3D polygon graphics for spaceships and the first non-adventure game to use the iMUSE music system. The game was updated and re-released several times, and was followed by three sequels. X-Wing was a best-seller and received critical acclaim. Once again, evil is better. Star Wars: TIE Fighter is a 1994 space flight simulator and space combat video game, the sequel to Star Wars: X-Wing. It places the player in the role of an Imperial starfighter pilot during events that occur between The Empire Strikes Back and Return of the Jedi. Based on X-Wing's game engine, TIE Fighter supports Gouraud shading and adds gameplay features and craft not available in X-Wing. In addition to fighting Rebel Alliance forces, the player flies against pirates, combatants in a civil war, and traitorous Imperial forces. The original game ends with the player preventing a coup against Emperor Palpatine and being personally rewarded during a large ceremony. TIE Fighter was updated and re-released several times, and it was a critical success. The first game to put a player inside the Star Wars universe from a first-person perspective was Star Wars: Dark Forces. Star Wars: Dark Forces is a first-person shooter video game released in 1995 for DOS and Apple Macintosh, and in 1996 for the PlayStation. The storyline is set in the Star Wars fictional universe and follows the character Kyle Katarn, a mercenary working on behalf of the Rebel Alliance. He discovers the Empire's "Dark Trooper Project", which involves the development of a series of powerful new battle droids and power-armored stormtroopers. 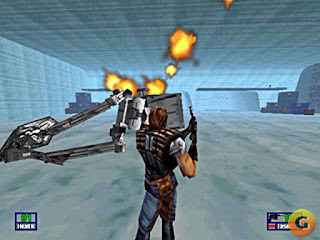 The engine adds gameplay features to the first-person shooter genre which were uncommon at the time of release, including level designs with multiple floors and the ability to look up and down. Even without lightsabers, it's still an epic game. When it comes to Star Wars games, this is the big daddy. Star Wars: Knights of the Old Republic is a role-playing video game set in the Star Wars universe. The game was released for the Xbox on July 15, 2003 and for Microsoft Windows on November 19, 2003. The game was later ported to Mac, iOS, and Android, and it's even playable on Xbox 360 via its Backward Compatibility feature. The story of Knights of the Old Republic takes place almost 4000 years before the formation of the Galactic Empire, where Darth Malak, a Dark Lord of the Sith, has unleashed a Sith armada against the Republic. The player character, as a Jedi, must venture to different planets in the galaxy in order to destroy the Star Forge, Malak's military resources. Players choose from three character classes and customize their characters at the beginning of the game, and engage in round-based combat against enemies. Through interacting with other characters and making plot decisions, the alignment system will determine whether the player's character aligns with the light or dark side of the Force. The game received critical acclaim upon release, with critics applauding the game's characters, story, and sound. It was also nominated for numerous awards, and is considered one of the best games of all time. Which was your favorite Star Wars game? *Some text was adapted from Wikipedia. The list of these star wars based video games is quite nice but I only liked 4 out of all these, most of the time I play free no wifi games on my phone but these games are worth trying since I like stars wars a lot. The target of Halloween Hoodlums 2 player shooting game is to take vengeance and get back at the malevolent undead by shooting people who wear the same dress or costume as you.